If you run B2B Marketing in a Tech or SaaS company, you might sell to a wide variety of personas and industries or concentrate only on niche pockets, nationally or internationally. That challenge appeals to us because it pretty much sums us up; hailing from cities dotted throughout Europe and South America as we do. 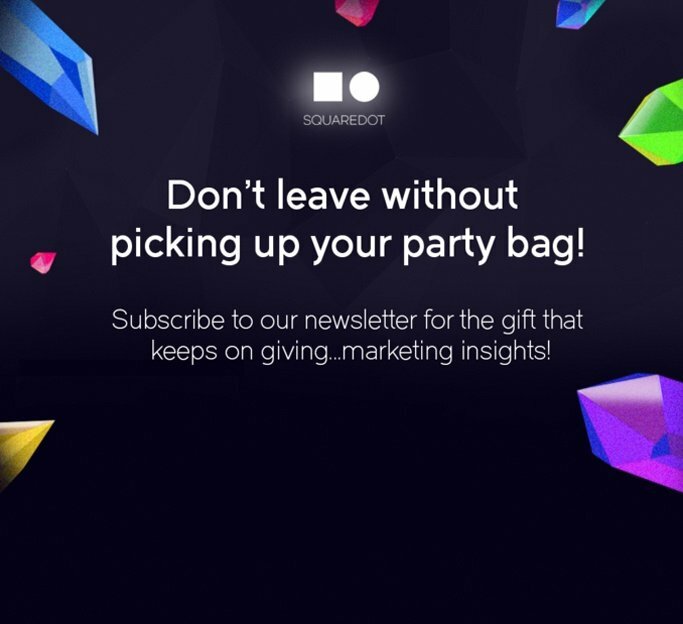 Founded in 2015 by two guys with years of B2B marketing experience on both sides the client/agency fence, Squaredot has grown, quickly. Recruiting the top international Digital Marketing masters graduates of UCD's Smurfit Business School and DCU, writers with inquisitive B2B journalistic backgrounds and designers with branding, motion graphics & illustration expertise, all helped us become Gold Tier Hubspot Partners. 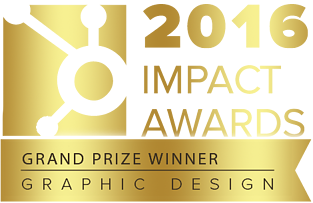 Pretty soon we started winning clients from Ireland, the UK and mainland Europe and winning awards like the Hubspot 2016 International Grand Prize in Graphic Design. In layman’s terms, we cook up tasty content and deliver it on a silver digital platter for your audience - whoever they are, wherever they are or however many they number. Ian co-founded Squaredot in late 2013. He wanted to build an agency that delivers marketing return on investment (ROI) for its clients through inbound marketing. Before setting up Squaredot, Ian ran B2B marketing for Three Ireland where he discovered inbound marketing, and introduced it there where it made a significant impact on lead generation. Sean is an award winning digital copywriter with over a decade of experience working for a wide range of national and international brands. Sean's work has been recognised by ICAD, the Digital Media Awards, the Social Media Awards and the Golden Spiders to name a few. Having started out as a through-the-line copywriter with AFA O’Meara, Sean moved into digital copywriting with Blue Cube (now McCannBlue) before being promoted to Senior Digital Creative. Roisin trained as a journalist at the City University of New York Graduate School of Journalism in Times Square, where she specialised in writing for the web. She also spent time as an editorial assistant at Time Out New York magazine. Upon returning to her native Northern Ireland, she worked as an online content coordinator for the regional news station, Ulster Television, before her appointment as online editor with the National Trust Giant’s Causeway. Roisin enjoys the collaborative nature of writing B2B marketing content and believes that every writer can benefit from the help of a good editor. Jim is a proven marketing practitioner who has been successfully solving marketing and sales problems for Irish and overseas companies for over thirty years. His extensive experience embraces a wide cross- section of manufacturing, technology and service companies operating in both home and export markets. An advocate and adopter of evolving marketing methods and principles, he adheres to the fundamental premise that marketing is ultimately about making it easy for the customer to buy. His approach combines solid analytics with delivery of pragmatic and workable solutions. Jim recognised that an integrated solution that leveraged web and social media had the potential to transform the sales function in many companies. Inbound Marketing juggles a lot of moving parts and we use Hubspot as our Grand Central station. We're Hubspot Gold Partners and we use the platform for everything from content publication and scheduling through to landing page deployment, real time performance analytics and email nurture workflows. Join the dots and play a pivotal role in Squaredot. Take responsibility for the coordination and scheduling of tasks and activities and deliver successful inbound marketing programmes for our clients. Squaredot offer a remarkable client service experience and we have high expectations of all new recruits. We’re looking for passionate, enthusiastic, talented marketing graduates to train and mentor as you learn and earn recognised industry certifications. It works both ways, as we value differing opinions and fresh ideas. This eBook charts the inbound marketing journey, step by step. We kept the jargon to a minimum. 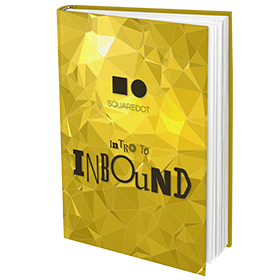 If you’re new to inbound, it’s a solid starting point. For others, it's a decent refresher.